We all think Root Canal Treatment is very painful. In fact, a lot of people get treated for Dental Problems with Root Canal Treatment. This involves removing the diseased pulp tissue[nerve], disinfecting the space and sealing the space with a suitable inert material. A mother of 2 kids reports to our clinic with severe pain. 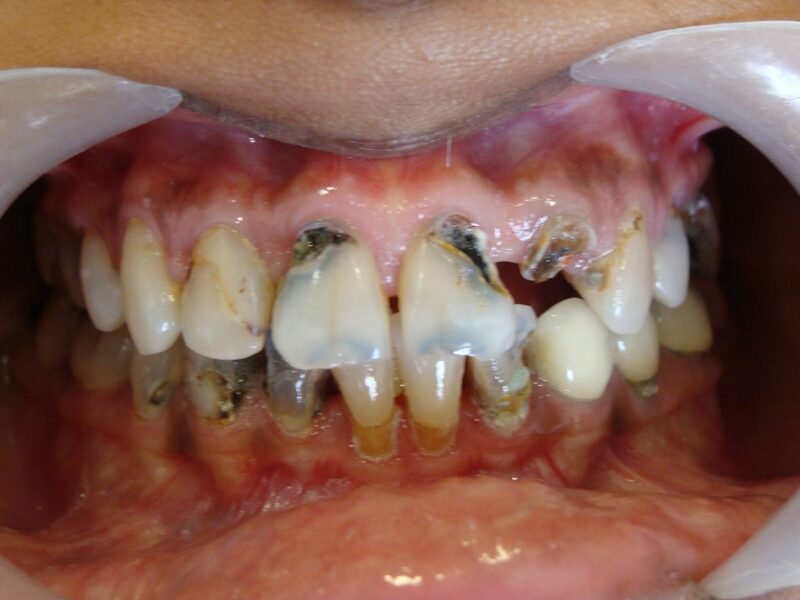 We are shocked to see severe decay in multiple teeth. When asked the patient replies that she is too occupied with 2 kids and had no time to undergo dental treatment. Both kids go to different school and this drives her crazy. We planned the treatment and did a lot of work under sedation. 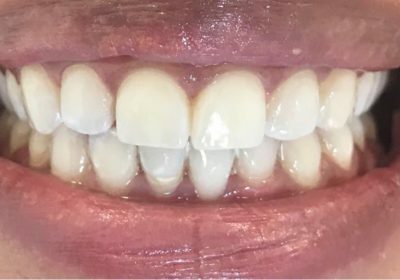 She underwent multiple single sitting root canal treatments, extractions and Zircon CADCAM Crowns. We tried to save teeth with Painfree Root Canal Treatments which are nowadays done with advance treatment methods using Lasers, disposable single-use rotary instruments and filled with Gutta Core; the latest concept in its class from Denstply Sirona. The treatment is absolutely pain-free and comfortable. Our specialist in Root Canal Treatment [Endodontist] ensures that the treatment is absolutely pain-free and comfortable. She was very happy as she had no pain, also her treatment got over in a very short time. 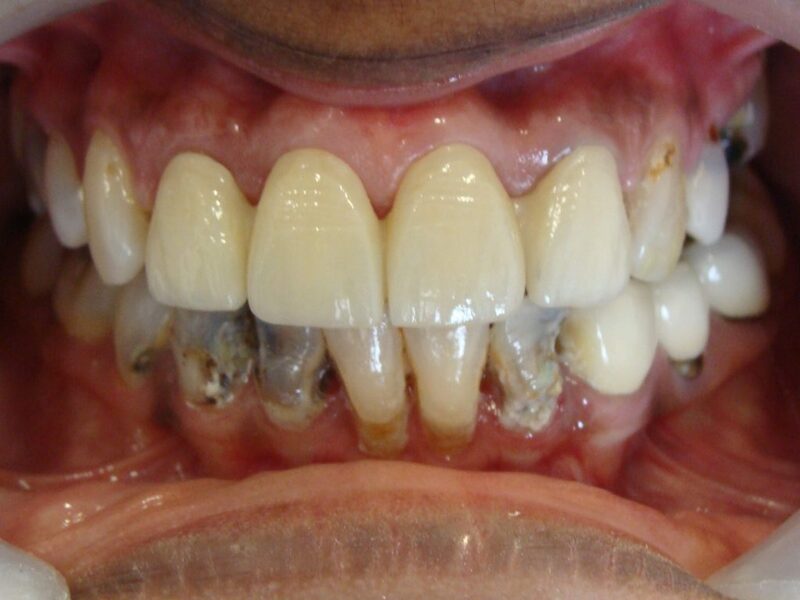 This was followed by beautiful high strength Zirconia crowns with Emax layering creating pleasing lifelike results. 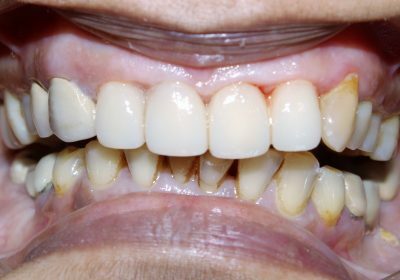 This is the power of Pain-free Root Canal Treatment. The results were very satisfying and she is back to her normal grind. 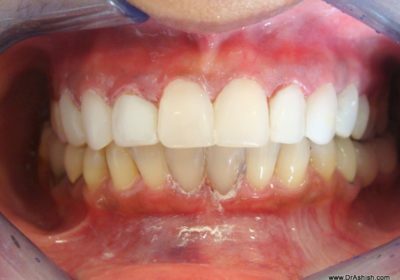 She still has to undergo treatment in her lower anterior teeth. 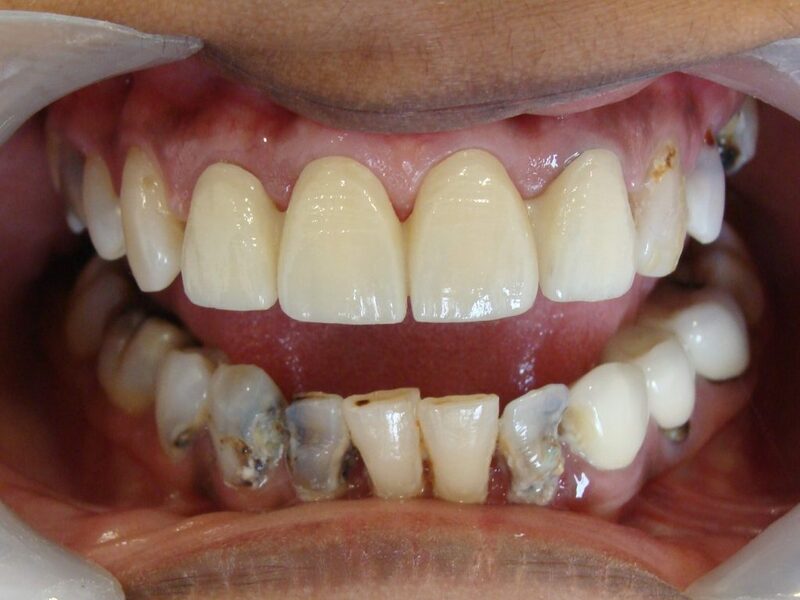 Most of us do not realise that dental problems are irreversible problems.They keep on progressing over time.Its always in our best interest to visit a Dentist and treat them early. 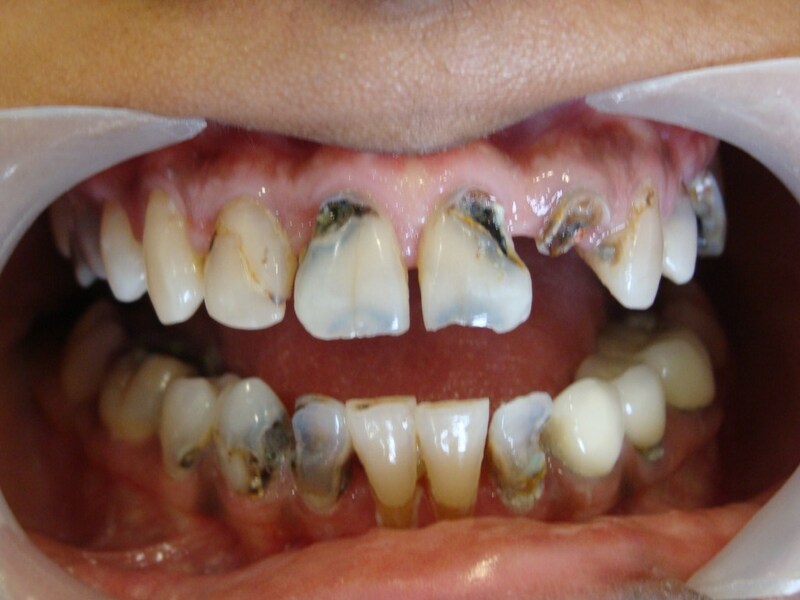 If these decaying teeth were shown to the dentist it would have required just restorations [filling] and the treatment would have been quite conservative.